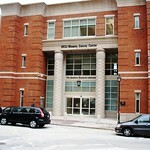 Opened in 2006 at the Virginia Commonwealth University (VCU) Massey Cancer Center, the Goodwin Research Laboratory is an 80,000 square-foot research facility occupied by more than 175 researchers. Within 68 lab modules, researchers collaborate, generate new ideas, and work efficiently to find new treatments and cures for cancer. 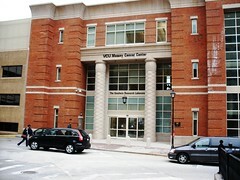 The building also contains a 3,000 square-foot foot “healing garden,” which is accessible from the main level lobby and the large conference room. The garden provides a restorative space for patients, families, and staff to relax.